This tool kit is outfitted with superior Japanese brand tools (VESSEL, 3Peaks). It's equipped with the basic tools for maintenance and repair work on computers, fax and copier machines, or any general office equipment. 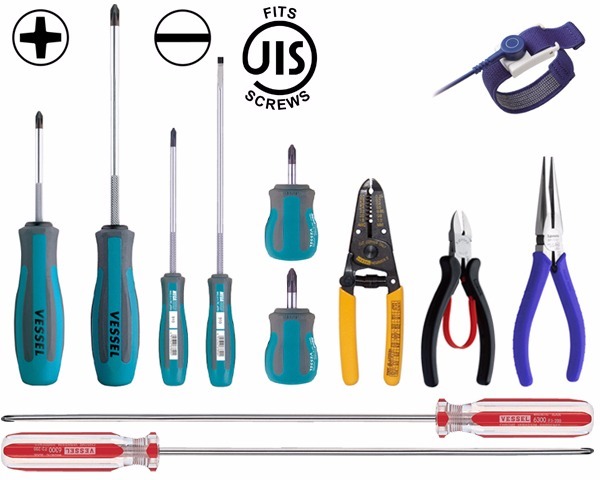 Included are two ultra-long screwdrivers with 10" shanks for fastening screws in hard to reach areas.